Richer Unsigned returned for its second gig at The Pheasantry on London’s King’s Road earlier this week (15 July). The initiative to discover the UK’s best unsigned talent launched in April and more four of the acts who uploaded their tracks to Richerunsigned.com stood out to the Q panel: Innes, Ellis Palmer, Cowboy 76er, Gold Jacks and KynchinLay. Their reward was a slot at the second showcase gig. JJ Dunning was there to find out more about the artists and their music. Pictures James Emmett. Read a full review of the gig in a future issue of Q. 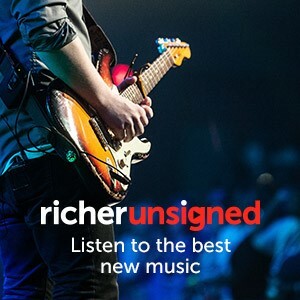 For more information on Richer Unsigned, in association with Q, visit Richerunsigned.com.